The US has released a list of countries according to happiness. The list called Happiness Report has a Happiness Index of 156 nations around the world. 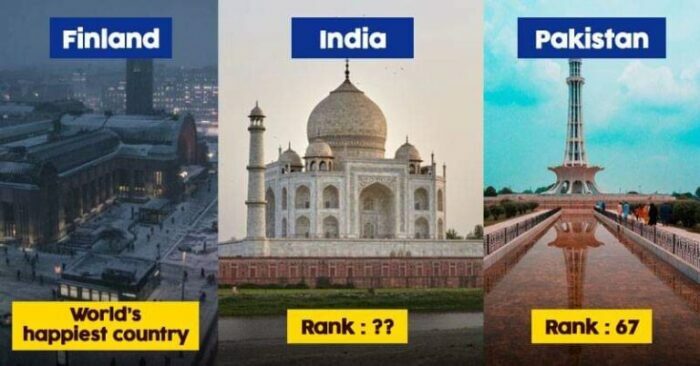 Sadly India’s rank has fallen 7 places as compared to last year. 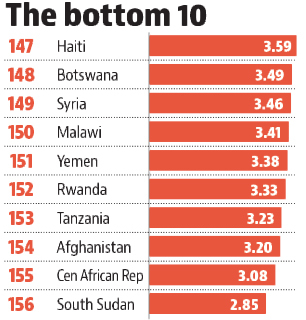 Last year, India was ranked on 133 in the list and now it has fallen to 140. Note that, this is the largest drop in the past decade. 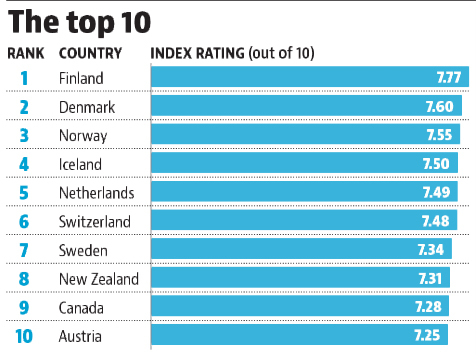 Ironically none of the major economically progressive countries in the world have made it to the top 10. Being citizens of India, this happiness index is alarming. If we think of the major reasons, unemployment and poverty are making Indians unhappy. The difference between rich and poor is increasing at a higher rate. The current political scenario of the country has also contributed to this index. What, according to you, is the actual cause? Share your opinions with us.